House Bill 2 is a measure that prevents North Carolina cities from passing anti-LGBT discrimination laws of their own. It was written in response to a recently passed anti-discrimination ordinance in Charlotte that prevents business from discriminating against gay, lesbian, and transgender customers, and among other provisions allows transgender people to use the bathroom of the gender they identify as. Charlotte’s ordinance was scheduled to go into effect April 1, but is now superseded by House Bill 2. 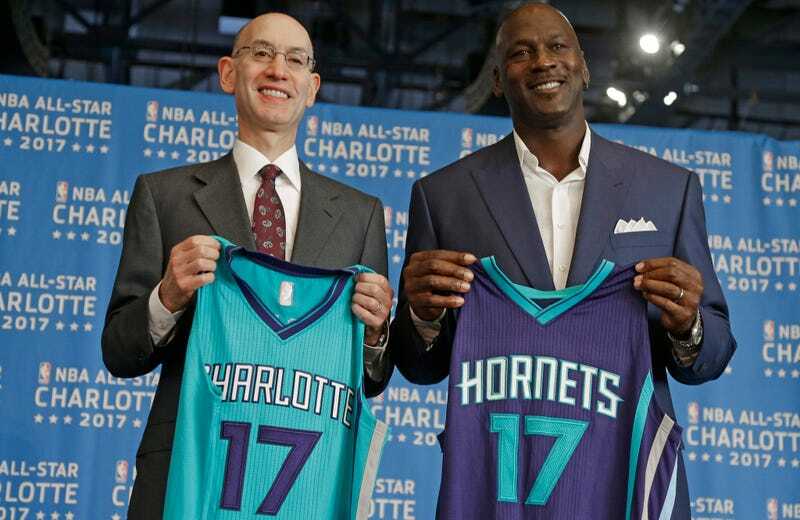 The NBA’s implicit threat to pull the All-Star Game piles more pressure upon the North Carolina legislature to repeal the legislation. The NCAA has said they are monitoring the situation, and large corporations with offices in North Carolina like PayPal, Dow Chemical, Google, and American Airlines have condemned the law. Last year the NCAA joined a similar grouping of corporations in speaking out against an anti-gay law in Indiana, which was ultimately overturned. This weekend the NFL said that if Georgia passes an under consideration anti-gay bill, the Falcons won’t be allowed to host the Super Bowl.